Record streaming music, radio shows, live audio courses, in-game sound, etc. 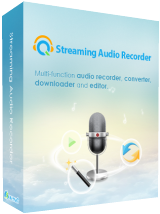 Streaming Audio Recorder 4.0.9 was available as a giveaway on April 9, 2016! Streaming Audio Recorder provides a reliable solution to record streaming music, radio shows, live audio courses, in-game sound, voice conference, Skype calls and etc. It supports recording and saving high definition audios in MP3, WMA, FLAC and WAV formats for playing on any media players and gadgets. This software is able to tag ID3 labels for songs automatically, and also allows to edit ID3 information flexibly. It is quite convenient to organize and transfer playlist to iTunes, letting you enjoy music on iPhone, iPad and iPod without effort. Furthermore, this audio recorder comes with the convert, edit, MP3 searching and CD burning features that can meet your needs in various aspects. How would you improve Streaming Audio Recorder 4.0.9? 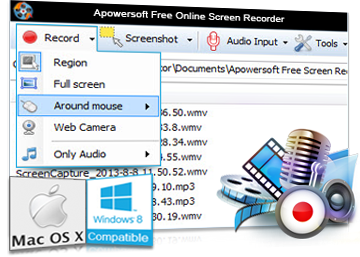 Free audio recorder is a useful tool that supports both Windows and Mac. With it, you can record any audio from computer sound card and microphone. Even better, it supports to play, manage recorded audio files and add ID3 tags for them. Dear users! If you meet any problems with the product registration, please contact the developer support@apowersoft.com We apologize for the inconvenience. Windows 7, two separate browsers, several download attempts, AV and firewall off,,,,, "Failed to connect"
Could not download version 4.0.9, however, could go to site and download 4.0.1,,,,, ???? Any thoughts? Windows 7, two separate browsers, several download attempts, AV and firewall off,,,,, "Failed to connect" Could not download version 4.0.9, however, could go to site and download 4.0.1,,,,, ???? Any thoughts? Before downloading, turn off your anti-virus software. Many anti-virus software detects setup.exe as a false positive and that's why you are unable to download this. 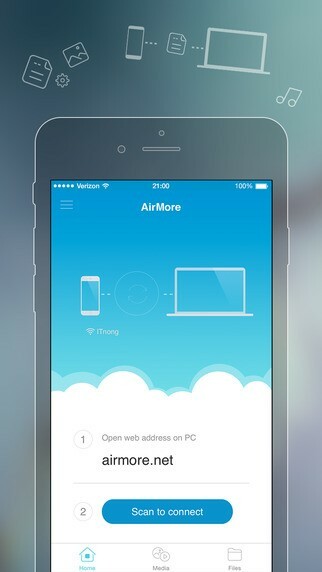 Don't turn your anti-virus program back on until you first install this giveaway. WATNE, Before downloading, turn off your anti-virus software. Many anti-virus software detects setup.exe as a false positive and that's why you are unable to download this. Don't turn your anti-virus program back on until you first install this giveaway. Drumpf, I am using windows seven, I tried to download 4.0.9 with two separate browsers, to no avail, after several attempts. My antivirus and firewall were turned off. Each attempt to download version 4.0.9 (24 MB) resulted with an error box, "failed to connect". I then went to the home page http://www.apowersoft.com/streaming-audio-recorder.htmlwhere the download 4.1.0 (19 MB) was advertised. I could Download and install 4.1.0 with no problem and register the program using the 4.0.9 registration and email provided for this giveaway. Apparently the free offer was changed from 4.0.9 two 4.1.0 without notification. Installed on Windows 7 Premium without a problem and registered as per the Read Me file. I have been using without a problem throughout the day. I closed the program and opened it in the evening and attempted to download music I found in my search and it keeps telling me it is the Trial Version and must Register. So I registered again and it began to download. Once the download was over, I tried to download more files and once again it tells me to Register so I register again. Why won't it save my registration? I click the box OK once it tells me "Welcome Doug" and box closes. How do I SAVE the registration??? The software downloaded and installed without a problem on my Windows7 laptop. When I register the software with the eMail & code provided in the readme file, a message appears to say the registration was successful. Yet, after I close that popup and I view the 'About' information, it shows I'm back to a 'TRIAL' version. With ADMIN privileges, I tried closing down the software, re-registering, re-booting and re-registering with and without the AntiVirus active; to no avail. Each time the registration claims to have succeeded, but when you recheck its status, it reverts back to the 'Trial' mode. So, I gave up on trying to re-register it and if I detect limitations because of the 'Trial' mode, I will uninstall the software from my system. Same registration problem here. Accepts the email address and reg code from the text file. Thanks me for registering and gives my name, but then tells me to buy to remove restrictions. On restart, a trial version reminder pops up. Same thing happens for me. I tried running as Admin and everything. No matter what I do, after saying it registered OK it always reverts to Unregistered. Most of the time I don't want what's being offered as a giveaway, and this is one of those rare instances where I would've liked to try this out, but it's not a full version but just a trial disguised as a full version. Very disappointed (again). Will Apowersoft/GAOTD do anything to help those of us who can't register? Same thing happens for me. I tried running as Admin and everything. No matter what I do, after saying it registered OK it always reverts to Unregistered. Most of the time I don't want what's being offered as a giveaway, and this is one of those rare instances where I would've liked to try this out, but it's not a full version but just a trial disguised as a full version. Very disappointed (again). Will Apowersoft/GAOTD do anything to help those of us who can't register? It installed and accepted the registration (Win10x64). I tried out it for a few minutes and everything worked great. After I restarted the program later, it prompted me for the registration again. It accepts it, but won't remember it. New problem. When i try to record it says I have the trial version and tells me to purchase now to remove limitations! I did not see anywhere that this was a trial. Was looking forward to checking out the basic system record function. Installed and registered ok, and tried a few settings, then went to record. Although the little red light on the microphone image was flashing, nothing was registering on the level indicators, and nothing was recorded. Following the advice on the website, I looked for the audio driver "Speaker (Apowersoft_AudioDevice)" supposed to be visible in the Windows Playback Devices screen and nothing there. Rebooted and re-installed to no avail. I can only think this is some conflict with my Creative X-Fi sound card drivers - wouldn't be the first time. There are no options for selecting installed drivers apart from the "System Sound" and "Microphone". 2. Automatic Naming Files - this is good to have for sure, but at a minimum, tell the user what the automatic naming format is so you can decide if you want to use it. I like apps offering format/masking options eg YYMMDD-NN, YYMMDD-HHMMSS, "My Recording No_". See something like the free Audio Record Wizard for good examples of how to do these two things. Was able to use the Radio function and site streaming function (just search for a song and see what comes up) and funnily enough, it recorded fine to Wav and MP3, so no problems there. Filenames had the song name automatically applied so that's a nice feature. Though I rarely use internet radio, I thought this worked well; lots of options for searching, favourites, recording the radio and converting the recorded file to another format. Streaming capability worked really well too - easily able to search out a few examples, audition, and download. Good control over these functions. Only limited time to do a brief exploration of the other functions such as audio editing, all the conversion features, and MP3 tag editing - but assuming all this works as well as the streaming capability this is one versatile little package. So overall impression is that this is great product for what it's prime purpose is - recording and managing streaming audio from internet sites and I'm giving it a big thumbs up, despite my technical issue. Would like to see improved recording format and naming capability, and also the ability to select installed audio drivers (though I can understand why, for simplicity's sake, these features are not offered). 2. Automatic Naming Files - this is good to have for sure, but at a minimum, tell the user what the automatic naming format is so you can decide if you want to use it. I like apps offering format/masking options eg YYMMDD-NN, YYMMDD-HHMMSS, "My Recording No_". See something like the free Audio Record Wizard for good examples of how to do these two things. But then some big positives!... Was able to use the Radio function and site streaming function (just search for a song and see what comes up) and funnily enough, it recorded fine to Wav and MP3, so no problems there. Filenames had the song name automatically applied so that's a nice feature. Though I rarely use internet radio, I thought this worked well; lots of options for searching, favourites, recording the radio and converting the recorded file to another format. Streaming capability worked really well too - easily able to search out a few examples, audition, and download. Good control over these functions. Only limited time to do a brief exploration of the other functions such as audio editing, all the conversion features, and MP3 tag editing - but assuming all this works as well as the streaming capability this is one versatile little package. So overall impression is that this is great product for what it's prime purpose is - recording and managing streaming audio from internet sites and I'm giving it a big thumbs up, despite my technical issue. Would like to see improved recording format and naming capability, and also the ability to select installed audio drivers (though I can understand why, for simplicity's sake, these features are not offered). Works great on my Windows 7 x64 and installed with no problems. Very easy to use and found three very old recordings I tried. If this had a GOTD special price I would buy it, but for home use the normal price is too high for me. turn off Kaspersky alltogether--and Windows Firewall. download new (4+ times on today's GAOTD). Since either Windows 10 or Kaspersky, I cannot get past the "The set up files are corrupted. Please get a new copy" message for any GAOTD offer. I really wanted Streaming Audio Recorder 4.0.9 today...and there have been others in the past 3 months. I'm at a loss. Nothing I do... turn off Kaspersky alltogether--and Windows Firewall. clean boot w anti-V turned off download new (4+ times on today's GAOTD). reboot Since either Windows 10 or Kaspersky, I cannot get past the "The set up files are corrupted. Please get a new copy" message for any GAOTD offer. I really wanted Streaming Audio Recorder 4.0.9 today...and there have been others in the past 3 months. I'm at a loss. Any additional suggestions? Petition the Giveaway Team to revert their "Setup" to what it was when it worked well. Dowloads used to be as easy and reliable as any other. Beckie, Petition the Giveaway Team to revert their "Setup" to what it was when it worked well. Dowloads used to be as easy and reliable as any other. I totally agree with you IDe. This problems occurs in Widows Xp, Windows 8.1, and Windows 10. Three different operating systems. This problem occurs on HP computers, Dell computers, Acer computers, Lenovo computers, etc, etc. Many different manufactures. This problem occurs on desktop computer, laptop computer, and all in one computers. Three different styles of computers. So many different factors. Surely there must be one item that is in common with all of these different factors. Oh yes the "Setup". Surely that must be clear to all by now. IDe, I totally agree with you IDe. This problems occurs in Widows Xp, Windows 8.1, and Windows 10. Three different operating systems. This problem occurs on HP computers, Dell computers, Acer computers, Lenovo computers, etc, etc. Many different manufactures. This problem occurs on desktop computer, laptop computer, and all in one computers. Three different styles of computers. So many different factors. Surely there must be one item that is in common with all of these different factors. Oh yes the "Setup". Surely that must be clear to all by now. I have to install on a pc that does not have it installed. The last time i upgraded Kaspersky, it suggested i uninstall Kaspersky first. Great test ! I tried running the GAOTD setup and would u believe it worked ? I suggest you uninstall Kaspersky any time you need one of the programs here and then reinstall Kaspersky. Beckie, its Kaspersky! I have to install on a pc that does not have it installed. The last time i upgraded Kaspersky, it suggested i uninstall Kaspersky first. Great test ! I tried running the GAOTD setup and would u believe it worked ? I suggest you uninstall Kaspersky any time you need one of the programs here and then reinstall Kaspersky. Increasingly impressed by the capabilities of this program which would have been another one missed had I not eventually learned to temporarily disable my Antivirus (AVG) before installing. Downloaded and installed without issue on Windows 10x32bit. I downloaded it for the internet radio which works perfectly and easily. I wish it had an equalizer or enhancement like SRS WOW effects that used to come with Windows Media Player. Still, the sound quality on the radio is good. I will keep this and maybe try recording later. Thanks Apowersoft and GAOTD for this very nice software. I think I installed it - but where is it? I don't see an icon on my desktop and can't find where it was installed (Windows 7). Anybody know? Never mind, I found a comment below that told me to turn off my anti-virus. I wish the web page had told me what the the severe limitations were on this trial version were. I'm uninstalling it right now. Radio streaming does not work. Appears "object reference not set to an instance of an object"
I'm am enormously impressed by this program. It installed without any problem at all on my Windows 8.1 machine. The interface is very straightforward and intuitive. I threw three songs at it, with increasing levels of obscurity, and it found them with no problems. One of the very best Giveawayoftheday's I've come across, and I check the site out every day and download quite a few. Now this is a program that I would pay for. It reminds me of recording songs off the radio with a tape. No XP support, not interested. Just as most software designers are not interested in making software for an extinct OS. Brian Wilson, do people actually still use XP? Why? If Microsoft no longer supports it, why do so many people expect OTHER software companies to support it? Right? If Microsoft no longer supports it, why do so many people expect OTHER software companies to support it? I'm amazed people ask this question. It's so simple: "if it ain't broke, don't fix it" meaning if your PC is working OK with the apps you like, then it's a major pain to install a new OS, customize it from scratch, and reinstall all of your old software some of which may be incompatible with the new OS. Not to mention you will lose all of your GAOTD software unless you keep your old XP OS as a dual boot. It also costs money to upgrade (except Win10 for 1 year) and upgrading your OS may force you to have to pay to upgrade other software if you only have the XP version. If a new OS could simply upgrade my existing OS, keep all of my existing software and licenses intact, keep all of my desktop and customizations intact, and every piece of software from the previous OS would work on the new OS, I'd always upgrade in a heartbeat, but the reality is upgrading is a major hassle and time consumer and any gain in the new OS seems to be offset by losing old software I like. My solution: rather than trash my XP PC, I simply put together a new PC and put the new OS on that. I'm amazed people ask this question. It's so simple: "if it ain't broke, don't fix it" meaning if your PC is working OK with the apps you like, then it's a major pain to install a new OS, customize it from scratch, and reinstall all of your old software some of which may be incompatible with the new OS. Not to mention you will lose all of your GAOTD software unless you keep your old XP OS as a dual boot. It also costs money to upgrade (except Win10 for 1 year) and upgrading your OS may force you to have to pay to upgrade other software if you only have the XP version. If a new OS could simply upgrade my existing OS, keep all of my existing software and licenses intact, keep all of my desktop and customizations intact, and every piece of software from the previous OS would work on the new OS, I'd always upgrade in a heartbeat, but the reality is upgrading is a major hassle and time consumer and any gain in the new OS seems to be offset by losing old software I like. My solution: rather than trash my XP PC, I simply put together a new PC and put the new OS on that. Patrick James, you laugh at some of us (me included) who still use XP, but in order to upgrade we would need to find a way to retain the applications we already have. Higher versions of Windows won't just install under those applications, will it? It's a problem that I recognize that I have but don't know what to do about it. I also don't know if my older PC can handle Windows upgrades. I use Windows XP Pro SP3 and this software installed, started, and registered without any issues. I downloaded the install file directly from Apowersoft's website and entered the registration information from the readme file. Everything worked out just fine. Brian Wilson, I use Windows XP Pro SP3 and this software installed, started, and registered without any issues. I downloaded the install file directly from Apowersoft's website and entered the registration information from the readme file. Everything worked out just fine. I do have computers that use Win 3.1 because some programs I use don't run on later OS versions and the programs were never ported to the later systems. I HATE the Win 8.1/10 interface. It has no security improvements and if you wiggle the mouse in the wrong way only the deity knows what bizarre thing will pop up to cover up your work area. This is a ridiculous way to try and get any work done. Win XP hasn't been supported since April 8th, 2014, yet two years down the road there are still thousands of PCs in use that can't be upgraded, and who's owners don't have the cash to go out and dump a few thousand dollars on new hardware and completely new software. Just because Microsoft dictates you must abandon a perfectly good OS, that works well, and runs your applications, doesn't mean everyone is going do so and many companies recognize this and still support Win XP releases. Now Microsoft is abandoning the Win 8.X fiasco and again forcing everyone to go to Win 10. Yet another expensive and unnecessary upgrade users have to pay for because Microsoft says so. Sorry, I'm actually looking at dumping my Windows systems and switching to Linux. I can host Windows products in a virtual environment (much safer way run given Microsoft's lack of commitment to actually securing their OS) if I truly must use their products. I've already switched to the Open Sourced replacements for the MS office Suite and was surprised at the compatibility and ease of use, and I won't have to worry about the interface changing every time Microsoft decides to play "hide the option" with their menus. Yes, I still use Win XP, and I have newer machines that have the Win 8.X OS, but I'm more than tired of constantly having to spend more time and money updating my systems, hunting for menus options, debugging new errors, and finding work arounds so I can get back the features I relied on (all because of a Microsoft marketing decision) than I spend actually using my systems. And yes, I am asking that companies still support Win OS products with a significant user base. I do have computers that use Win 3.1 because some programs I use don't run on later OS versions and the programs were never ported to the later systems. I HATE the Win 8.1/10 interface. It has no security improvements and if you wiggle the mouse in the wrong way only the deity knows what bizarre thing will pop up to cover up your work area. This is a ridiculous way to try and get any work done. Win XP hasn't been supported since April 8th, 2014, yet two years down the road there are still thousands of PCs in use that can't be upgraded, and who's owners don't have the cash to go out and dump a few thousand dollars on new hardware and completely new software. Just because Microsoft dictates you must abandon a perfectly good OS, that works well, and runs your applications, doesn't mean everyone is going do so and many companies recognize this and still support Win XP releases. Now Microsoft is abandoning the Win 8.X fiasco and again forcing everyone to go to Win 10. Yet another expensive and unnecessary upgrade users have to pay for because Microsoft says so. Sorry, I'm actually looking at dumping my Windows systems and switching to Linux. I can host Windows products in a virtual environment (much safer way run given Microsoft's lack of commitment to actually securing their OS) if I truly must use their products. I've already switched to the Open Sourced replacements for the MS office Suite and was surprised at the compatibility and ease of use, and I won't have to worry about the interface changing every time Microsoft decides to play "hide the option" with their menus. Yes, I still use Win XP, and I have newer machines that have the Win 8.X OS, but I'm more than tired of constantly having to spend more time and money updating my systems, hunting for menus options, debugging new errors, and finding work arounds so I can get back the features I relied on (all because of a Microsoft marketing decision) than I spend actually using my systems. And yes, I am asking that companies still support Win OS products with a significant user base. Ken, See my diatribe later in this list. brosmith, Thank you for the info. I know a lot of applications for WIn 8.X will still run on Win XP and I appreciate you trying this and letting the community know. Well, I downloaded the program, extracted the files and it wouldn't run the installation program, just the activation. I tried first using Windows 10-64, then compatibility for Windows 7, with Admin. Prviledges. It still won't download the program. Any suggestions?? Same problem here (previous post) Win7 x64. I emailed apowersoft support with no response so far. David, Same problem here (previous post) Win7 x64. I emailed apowersoft support with no response so far. BMZ, Glad I'm not the lone ranger. Tried compatibility mode for Windows 8 as well, just the "Activation successful" window. Hopefully, there's a work around for this issue! Thanks! I turned off my AVG virus protection and it finally downloaded and registered correctly. Working fine now! Every single program I've tried to install lately gives this message: The setup files are corrupted. Please obtain a new copy of the program. What's going on? When I get that from files here a reboot has always fixed it. Bob Zimmerman, When I get that from files here a reboot has always fixed it. Instaled over previous version 4.0.5 and everything is okay. Thank you. Make sure you use the GOTD email address given in the Readme.txt file. Do not enter your own email address. Glyn Make sure you use the GOTD email address given in the Readme.txt file. Do not enter your own email address. Nah ... ? .. .
Thoughted might be an XP man favorite thing... or... something? .. > ' Nah ... ? .. .
Hello, everyone. Thanks for taking time to attend today's giveaway. 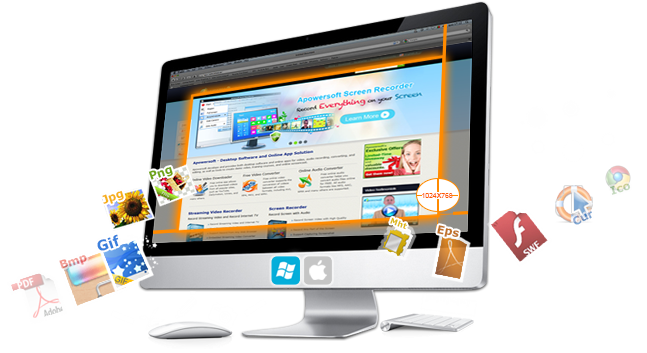 We are the tech support staffs from Apowersoft and to help you with any potential questions or feedbacks here. Please follow the instructions of Giveawayoftheday and install Streaming Audio Recorder on your computer. Then, use the registration information which has been sent to you to activate the software. Note that the free activation of the program is only available in 24 hours. If you meet any problems when using our product, please contact us via support@apowersoft.com . Our support team will reply you within 24 hours. Glyn Deacon, everyone has that code as GOTD customers, worked fine here.